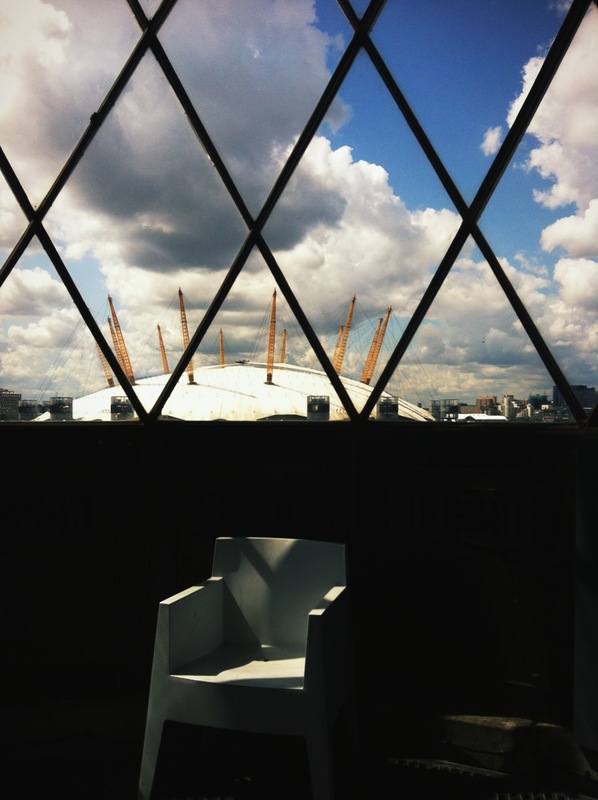 Yesterday my boyfriend and I went to Trinity Buoy Wharf, right across the river from the Millennium Dome (sorry still can’t allow myself to call it the O2) because I wanted to go and experience the Long Player project which plays out from listening posts inside the lighthouse there (I love lighthouses, another thing that gives me the willies but love anyway – creepy cool). The Long Player project is the brain child of one of the founder member of The Pogues, Jem Finer, who also happens to be a maths genius. 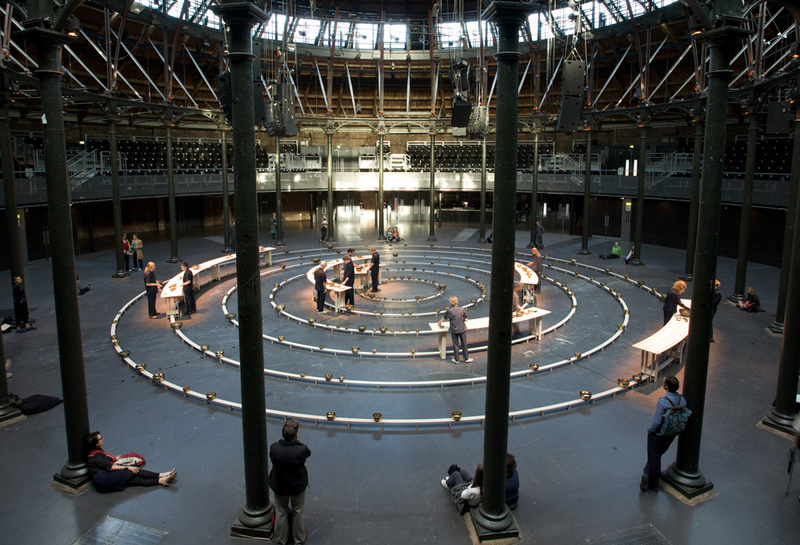 In collaboration with other arty and innovative people and organisations who made it happen he developed a piece of music designed to play without repeating or ceasing for 1000 years. The first note played out in the lighthouse in the last moment of December 31st 1999 and is designed to stop and then start again in the last moment of 2999. The music is a piece played by a collection of 234 Tibetan singing bowls which have been specifically played (hit, touched, sung etc.) and recorded, they have then been aligned similarly to the way a solar system is, with the different sounds evoked from the different bowls interconnecting and intermingling with each other differently all the time. The algorithm for collection of sounds has been written so that there will be no repetition of any of the bowls’ sounds together by the very complex nature of their set up (I had to have it explained to be a few times before I got it, the explanation is much better described here). Pictured is the set-up of how the piece of music can be played live (which helps to understand it’s complex nature) and there are listening posts set up around the world for people to listen live. 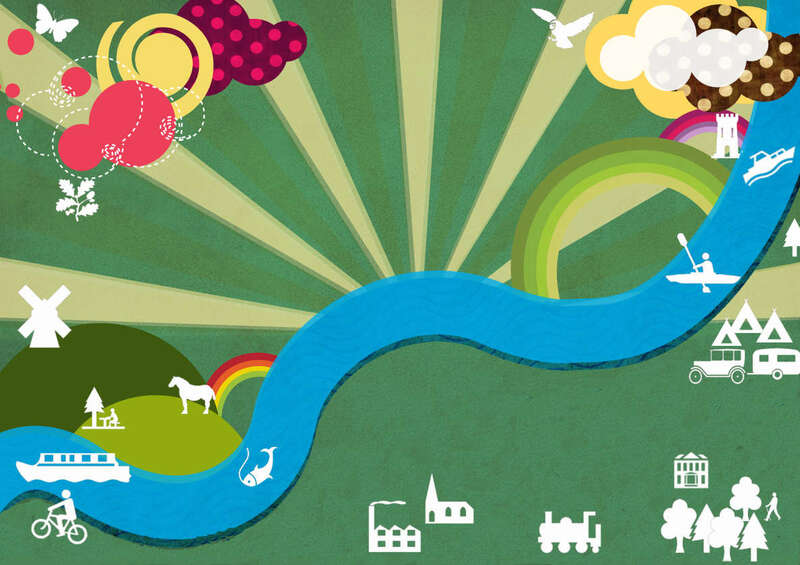 You can also listen live here. The survival of the project and uncompromising goal of having the music play without ceasing for the next 1000 years is phenomenal. At the moment the piece is played on a computer but of course technology has it’s limitations (which I bang on about all the time on the blog!) and changes and viability for the future is hard to predict. 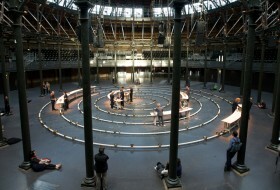 Now the composer is looking at complex ways of keeping the bells ringing without the reliance of computer and batteries through clockwork systems and mechanised processes powered by natural sources like waves, wind and rain. I find this absolutely fascinating. What makes it even more interesting is the lighthouse itself was once used by that infamous scientist Michael Faraday (of discoveries including electromagnetic induction, diamagnetism and electrolysis fame). Although a lighthouse wasn’t exactly needed on the East End docks of London he built one on Trinity Buoy Wharf to test and experiment with lenses and their power to project light across distances. 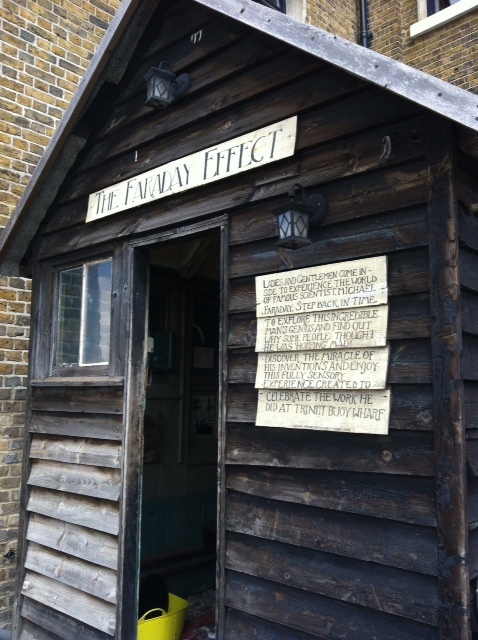 There’s a little wooden hut called “The Faraday Effect” which contains little insights into the man’s life work and history for you to get all immersed and happy in and investigate for yourself. Another bonus at Trinity Buoy Wharf is a proper fantastic 1940s diner, complete with old school Americana adorning the walls, long bar to sit at and slurp a milkshake, little duke boxes on tables and sleek chrome light fittings. My boyfriend especially appreciated the place by woofing down an excellent value proper American breakfast (eggs over easy and everything). It was quality, rock on Fat Boys Diner. 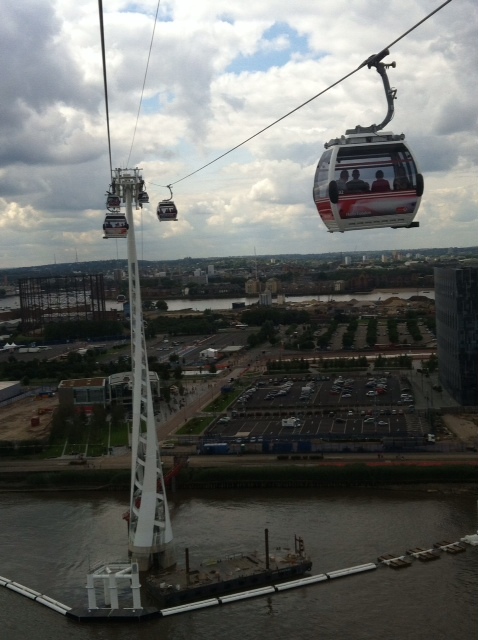 Just down the river at the Excel Centre is the Emirates “Air Line” cable car crossing the Thames. 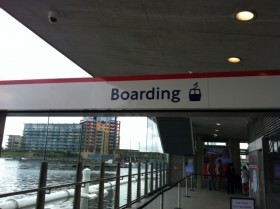 Having clocked it I had to visit and so we headed off with me knowing I’d cack myself when I was on there but have to do these things anyway. 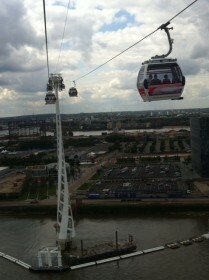 It was really cool (if very scary for someone afraid of heights) and you can use your Oyster card to board, loved it.